It’s happening! Steven Spielberg and Harrison Ford will make a fifth Indiana Jones film. 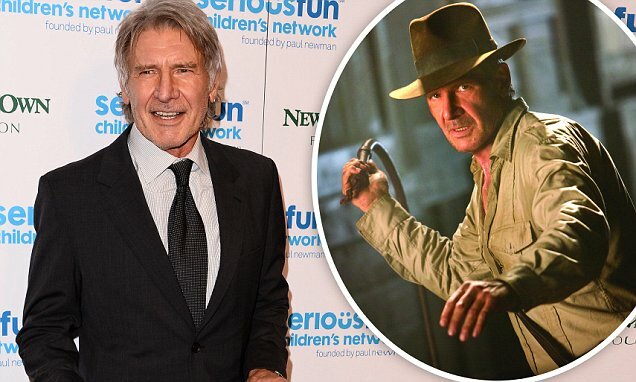 73-year-old Harrison Ford will star in a fifth Indiana Jones film that will come out in 2019. So far there are a few working titles including Raiders of the Lost Hearing and Indiana Jones and the Routine Colonoscopy. Disney made the announcement today (Tuesday) and have set the flick for a July 19th, 2019 release. It had been rumored that Chris Pratt would take over the role, but so far no other cast members have been named. Harrison will be 76 when the movie hits theaters.